The Cuban government continues to repress dissent and punish public criticism. It now relies less than in past years on long-term prison sentences to punish its critics, but short-term arbitrary arrests of human rights defenders, independent journalists, and others have increased dramatically in recent years. Other repressive tactics employed by the government include beatings, public shaming, and termination of employment. On November 25, Fidel Castro, who ruled Cuba from 1959 until handing off the presidency to his brother, Raúl, in 2006, died in Havana. In March, US President Barack Obama visited Cuba, where he met with President Raúl Castro, as well as with representatives of Cuban civil society. President Obama gave a nationally televised address and held a joint press conference with President Castro in which he urged the Cuban government to lift restrictions on political freedoms and reiterated his call for the US Congress to end the economic embargo of the island. The government continues to rely on arbitrary detention to harass and intimidate critics, independent activists, political opponents, and others. The Cuban Commission for Human Rights and National Reconciliation, an independent human rights group that lacks official authorization and is therefore considered illegal by the government, received more than 7,900 reports of arbitrary detentions from January through August 2016. This represents the highest monthly average of detentions in the past six years. Security officers rarely present arrest orders to justify the detention of critics. In some cases, detainees are released after receiving official warnings, which prosecutors can use in subsequent criminal trials to show a pattern of “delinquent” behavior. Detention is often used preemptively to prevent people from participating in peaceful marches or meetings to discuss politics. Detainees are often beaten, threatened, and held incommunicado for hours or days. The Ladies in White (Damas de Blanco)—a group founded by the wives, mothers, and daughters of political prisoners also, like the Cuban Commission on Human Rights, lacks official authorization and is therefore considered illegal by the government. Its members are routinely harassed, roughed up, and detained by either police or state security agents before or after they attend Sunday mass. Prior to President Obama’s visit in March, police arrested more than 300 dissidents as part of a crackdown on opposition leaders. The government controls virtually all media outlets in Cuba and restricts access to outside information. A small number of journalists and bloggers who are independent of government media manage to write articles for websites or blogs, or publish tweets. However, the government routinely blocks access within Cuba to these websites. Moreover, only a fraction of Cubans can read independent websites and blogs because of the high cost of, and limited access to, the internet. Independent journalists who publish information considered critical of the government are subject to smear campaigns and arbitrary arrests, as are artists and academics who demand greater freedoms. Lazaro Yuri Valle Roca, a blogger and videographer who often covers the Sunday demonstrations of the Ladies in White, was jailed for five days after trying to cover a protest on March 20, the day of President Obama’s arrival in Cuba. Police officers apprehended Valle Roca, beat him, and took him to a nearby police station, according to Aliuska Gómez García, a member of the Ladies in White who witnessed the beating and arrest and spoke afterwards to the Committee to Protect Journalists. Valle Roca was later accused of attacking an official. While he did not face charges on this occasion, officers warned him that he might if arrested in the future. In May, police detained journalist Daniel Domínguez López in his office at the Cuban Institute for Freedom of Speech and Press (ICLEP) after he wrote an article about a deprivation-of-property case involving a member of the National Revolutionary Police Force. Police ultimately took him to a “criminal instruction unit,” where he said that they threatened to imprison or kill him and his family. Officers reportedly warned him against further distribution of his bulletin and told him that they were determined to destroy ICLEP. Police in October detained Maykel González Vivero, a reporter of the news site Diario de Cuba, while he was reporting on the damage caused by Hurricane Matthew. Three days later, police arrested Elaine Díaz, director of the independent news site Periodismo del Barrio and four of her colleagues when they traveled to Baracoa, eastern Cuba, to report on the storm’s effects. She and her team were released a few hours later, as was González, but authorities reportedly confiscated their laptop computers, cameras, and other equipment. The government harasses artists as well. Police detained Danilo Maldonado, a graffiti artist known as “El Sexto,” during a march led by the Ladies in White movement shortly before President Obama’s visit in March 2016, but released him the following day. The day after Fidel Castro’s death in November, police arrested Maldonado again after he posted an online video mocking Castro’s death and spray painting “se fue” (he’s gone) on a wall in downtown Havana. Police held him incommunicado for 72 hours, inflicting a beating that triggered an asthma attack. After his mother brought an inhaler, his detention continued. He was still detained at time of writing in early December. Two years earlier, Maldonado had been charged with “contempt for authority” for attempting to stage a satirical performance with two pigs daubed with “Raul” and “Fidel.” He served 10 months in prison. Despite the release of the 53 political prisoners in conjunction with the agreement to normalize relations with the US, dozens more remain in Cuban prisons, according to local human rights groups. The government denies access to its prisons by independent human rights groups, which believe that additional political prisoners, whose cases they cannot document, remain locked up. Cubans who criticize the government continue to face the threat of criminal prosecution. They do not benefit from due process guarantees, such as the right to fair and public hearings by a competent and impartial tribunal. In practice, courts are subordinated to the executive and legislative branches, denying meaningful judicial independence. Reforms to travel regulations that went into effect in January 2013 eliminated the need for an exit visa to leave the island. Exit visas had previously been used to deny the right to travel to people critical of the government—and to their families. Since then, many people who had previously been denied permission to travel have been able to do so, including human rights defenders and independent bloggers. Nonetheless, the reforms gave the government broad discretionary powers to restrict the right to travel on the grounds of “defense and national security” or “other reasons of public interest.” Such measures have allowed authorities to deny exit to people who express dissent. The government restricts the movement of citizens within Cuba through a 1997 law known as Decree 217, which is designed to limit migration to Havana. The decree has been used to harass dissidents and prevent those from elsewhere in Cuba from traveling to Havana to attend meetings. Prisons are overcrowded. Prisoners are forced to work 12-hour days and punished if they do not meet production quotas, according to former political prisoners. Inmates have no effective complaint mechanism to seek redress for abuses. Those who criticize the government or engage in hunger strikes and other forms of protest are often subjected to extended solitary confinement, beatings, restrictions on family visits, and denied medical care. While the government allowed select members of the foreign press to conduct controlled visits to a handful of prisons in April 2013, it continues to deny international human rights groups and independent Cuban organizations access to its prisons. Despite updating its Labor Code in 2014, Cuba continues to violate conventions of the International Labour Organization that it has ratified, specifically regarding freedom of association, collective bargaining, protection of wages, and prohibitions on forced labor. While the formation of independent unions is technically allowed by law, in practice Cuba only permits one confederation of state-controlled unions, the Workers’ Central Union of Cuba. The Cuban government still refuses to recognize human rights monitoring as a legitimate activity and denies legal status to local human rights groups. Government authorities harass, assault, and imprison human rights defenders who attempt to document abuses. In September, police raided Cubalex, a six-year-old organization that investigates human rights violations and provides free legal services to free-expression activists, migrants, and human-rights defenders. Officers confiscated files, strip-searched four men and a woman, and arrested two attorneys, one of whom was still in detention at time of writing. In December 2014, President Obama announced that the United States would ease decades-old restrictions on travel and commerce, and normalize diplomatic relations with Cuba. In return, the Cuban government released 53 political prisoners and committed to allowing visits by international human rights monitors. The two governments restored diplomatic relations in July 2015, but at time of writing, no international human rights monitors had visited Cuba. In January 2015, President Obama called on the US Congress to lift the economic embargo on the island that had been imposed more than four decades earlier. In October 2016, he used executive orders to end a few trade restrictions, including the longstanding $100 import limit on two of Cuba’s signature products: cigars and rum. In September 2016, the European Union approved an agreement with Cuba that would strengthen economic and political ties and bring an end to the EU’s 1996 “Common Position on Cuba,” which conditions full European Union economic cooperation with Cuba on the country’s transition to a pluralist democracy and respect for human rights. In October, the UN General Assembly adopted a resolution—for the 25th consecutive year—calling on the US to end the embargo. Only the US and Israel did not vote in favor, but for the first time, they abstained instead of voting against. As a member of the UN Human Rights Council from 2006 to 2012 and from 2014 to the present, Cuba has regularly voted to prevent scrutiny of serious human rights abuses around the world—opposing resolutions spotlighting abuses in North Korea, Syria, Iran, and Ukraine. However, Cuba supported a resolution adopted by the council in June 2016, establishing the post of an independent expert to combat violence and discrimination based on sexual orientation and gender identity. In October, Cuba was re-elected to the Human Rights Council for the 2017-2019 term. The Cuban government continues to repress dissent and discourage public criticism. It now relies less on long-term prison sentences to punish its critics, but short-term arbitrary arrests of human rights defenders, independent journalists, and others have increased dramatically in recent years. Other repressive tactics employed by the government include beatings, public acts of shaming, and the termination of employment. In December 2014, President Barack Obama announced that the United States would ease restrictions on travel and commerce and normalize diplomatic relations with Cuba. In exchange, the Cuban government released 53 political prisoners and committed to allow visits by international human rights monitors. The two governments restored diplomatic relations in July 2015. The government continues to rely on arbitrary detentions to harass and intimidate people who exercise their fundamental rights. The Cuban Commission for Human Rights and National Reconciliation, an independent human rights group that the government views as illegal, received more than 6,200 reports of arbitrary detentions from January through October 2015. While this represented a decrease from the number of detentions during the same 10-month period in 2014, it was still significantly higher than the number of yearly detentions prior to 2012. Security officers virtually never present arrest orders to justify the detention of critics. In some cases, detainees are released after receiving official warnings, which prosecutors can use in subsequent criminal trials to show a pattern of delinquent behavior. Detention is often used preemptively to prevent people from participating in peaceful marches or meetings to discuss politics. Detainees are often beaten, threatened, and held incommunicado for hours or days. Members of the Ladies in White (Damas de Blanco)—a group founded by the wives, mothers, and daughters of political prisoners and which the government considers illegal—are routinely harassed, roughed up, and detained before or after they attend Sunday mass. Lazaro Yuri Valle Roca, a blogger and videographer who often covers the Sunday demonstrations of the Ladies in White, wrote that police arbitrarily detained him on June 7 and drove him 30 miles from Havana, where they took him from the car at gunpoint, made him kneel on the grass, and put the gun to his neck, telling him he was “on notice” to stay away from the demonstrations. The artist Tania Bruguera was arrested on December 30, 2014, hours before her planned performance art piece in Havana’s Revolution Square, in which she was to have invited passersby to walk up to a podium and express themselves at a microphone for one minute. Security officials confiscated her passport and computer. Bruguera was released the following day but was detained and released twice more during the next two days. Cuban dissidents and independent journalists who had planned to attend the event—including Reinaldo Escobar, Eliecer Avila, and Antonio Rodiles—were also arrested on December 30. Bruguera was again detained in May during the 12th Havana Biennial Art Exhibition. She was released the same day. 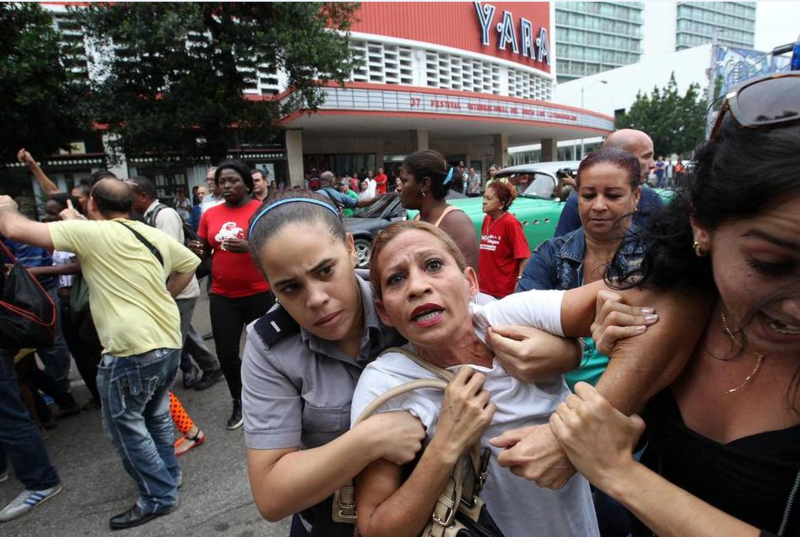 On August 9, a few days before US Secretary of State John Kerry was to attend a ceremony to mark the opening of the US embassy in Havana, 90 people—including an estimated 50 Ladies in White—were arrested and detained after Sunday mass in the Havana neighborhood of Miramar during a peaceful march against political repression. During the visit of Pope Francis in September, police detained some 100 to 150 dissidents to prevent them from seeing him. Miriam Leiva, a freelance journalist and blogger and a founder of the Ladies in White, was invited by the Papal Nuncio in Havana to greet the Pope twice, on September 19 and 20, but was detained for several hours each time, preventing her attendance. Despite the release of the 53 political prisoners in conjunction with the agreement to normalize relations with the US, dozens more remain in Cuban prisons, according to local human rights groups. The government prevents independent human rights groups from accessing its prisons, and the groups believe there are additional political prisoners whose cases they cannot document. Graffiti artist Danilo Maldonado, known as “El Sexto,” was arrested in December 2014 and charged with “contempt for authority” for attempting to stage a performance involving two pigs painted with the names “Raul” and “Fidel”—a satire of the current and former heads of state. He was released on October 20. The government controls virtually all media outlets in Cuba and restricts access to outside information, severely limiting the right to freedom of expression. A small number of journalists and bloggers who are independent of government media manage to write articles for websites or blogs, or publish tweets. However, the government routinely blocks access within Cuba to these websites, and those who publish information considered critical of the government are subject to smear campaigns and arbitrary arrests, as are artists and academics who demand greater freedoms. Only a fraction of Cubans are able to read independent websites and blogs because of the high cost of, and limited access to, the Internet. In July, Cuba increased Internet access by opening 35 Wi-Fi hot spots in parks and city boulevards nationwide. The US$2-an-hour Wi-Fi connection fee is expensive in a country where the average wage is approximately $20 a month. Nonetheless, the reforms gave the government broad discretionary powers to restrict the right to travel on the grounds of “defense and national security” or “other reasons of public interest.” Such measures have allowed the authorities to deny exit to people who express dissent. For example, José Daniel Ferrer, the leader of the Patriotic Union of Cuba (Unpacu), was denied the right to travel abroad in August for “reasons of public interest,” authorities said. The government restricts the movement of citizens within Cuba through a 1997 law known as Decree 217, which is designed to limit migration to Havana. The decree has been used to prevent dissidents from traveling to Havana to attend meetings and to harass dissidents from other parts of Cuba who live there. Prisons are overcrowded. Prisoners are forced to work 12-hour days and punished if they do not meet production quotas, according to former political prisoners. Inmates have no effective complaint mechanism to seek redress, and those who criticize the government or engage in hunger strikes and other forms of protest are subjected to extended solitary confinement, beatings, restrictions on family visits, and denial of medical care. While the government allowed select members of the foreign press to conduct controlled visits to a handful of prisons in April 2013, it continues to deny international human rights groups and independent Cuban organizations access to its prisons. Despite updating its Labor Code in 2014, Cuba continues to violate conventions of the International Labour Organization that it has ratified, specifically regarding freedom of association, collective bargaining, protection of wages and wage payment, and prohibitions on forced labor. While the formation of independent unions is technically allowed by law, in practice Cuba only permits one confederation of state-controlled unions, the Workers’ Central Union of Cuba. In January, a month after announcing plans to normalize diplomatic relations with Cuba, President Obama called on the US Congress to lift the economic embargo of Cuba imposed more than four decades ago. The United Nations General Assembly has repeatedly called on the United States to end the embargo, most recently in October by a vote of 191 to two. At time of writing, Cuba had yet to allow visits to the island by the International Committee of the Red Cross or by UN human rights monitors, as stipulated in the December 2014 agreement with the US. The European Union continues to retain its “Common Position on Cuba,” adopted in 1996, which conditions full EU economic cooperation with Cuba on the country’s transition to a pluralist democracy and respect for human rights. After a meeting in April 2014 in Havana, EU and Cuban delegates agreed on establishing a road map for “normalizing” relations. A fifth round of negotiations towards an EU-Cuba Political Dialogue and Cooperation Agreement took place in Havana in September 2015, and a sixth round was scheduled for late November. In November 2013, Cuba was re-elected to a regional position on the UN Human Rights Council, despite its poor human rights record and consistent efforts to undermine important council work. As a member of the council, Cuba has regularly voted to prevent scrutiny of serious human rights abuses around the world, opposing resolutions spotlighting abuses in North Korea, Syria, Iran, and Ukraine. However, Cuba supported a landmark resolution the council adopted in September 2014 to combat violence and discrimination based on sexual orientation and gender identity. The Cuban government continues to repress dissent and discourage public criticism. While in recent years it has relied less on long-term prison sentences to punish its critics, short-term arbitrary arrests of human rights defenders, independent journalists, and other critics have increased dramatically. Other repressive tactics employed by the government include beatings, public acts of shaming, and the termination of employment. In December 2014, President Barack Obama announced that the United States would normalize diplomatic relations with Cuba and ease restrictions on travel and commerce with the island in exchange for several concessions by the Cuban government, including a commitment to release 53 political prisoners and to allow visits by international human rights monitors. The government continues to rely on arbitrary detention to harass and intimidate individuals who exercise their fundamental rights. The Cuban Commission for Human Rights and National Reconciliation (CCDHRN)—an independent human rights group the government views as illegal—received over 7,188 reports of arbitrary detentions from January through August 2014, a sharp increase from approximately 2,900 in 2013 and 1,100 in 2010 during the same time period. Security officers virtually never present arrest orders to justify the detention of critics and threaten them with criminal sentences if they continue to participate in “counterrevolutionary” activities. In some cases, detainees are released after receiving official warnings, which prosecutors can then use in subsequent criminal trials to show a pattern of delinquent behavior. Dissidents said these warnings aim to discourage them from participating in activities seen as critical of the government. Detention is often used preemptively to prevent individuals from participating in peaceful marches or meetings to discuss politics. In the days leading up to the summit meeting of the Community of Latin American and Caribbean States (CELAC), for example, which took place in Havana on January 28 and 29, 2014, at least 40 people were arbitrarily detained, and 5 held under house arrest until the conference had ended, according to the CCDHRN. Members of the Damas de Blanco (Ladies in White)—a group founded by the wives, mothers, and daughters of political prisoners and which the government considers illegal—are routinely detained before or after they attend Sunday mass. On May 4, for example, more than 80 women were detained before attending mass throughout the island. On July 13, 129 members of the group were detained as they prepared to attend commemorative ceremonies honoring Cubans who died attempting to leave the island in 1994. Detainees are often beaten, threatened, and held incommunicado for hours and even days. The former political prisoner Guillermo Fariñas, who was placed under house arrest for the duration of the CELAC conference and then arrested when he attempted to leave home, reported suffering two broken ribs and other injuries as a result of a beating he received while in detention. Yilenni Aguilera Santos, a member of the Damas de Blanco movement in Holguín, reported suffering a miscarriage when security agents subjected her to a severe beating after arresting her on her way to mass on June 22. Even after the conditional release of dozens of political prisoners in December 2014, dozens more remain in Cuban prisons according to local human rights groups. These groups estimate that there are more political prisoners whose cases they cannot document because the government prevents independent national or international human rights groups from accessing its prisons. Cubans who criticize the government continue to face the threat of criminal prosecution. They do not benefit from due process guarantees, such as the right to fair and public hearings by a competent and impartial tribunal. In practice, courts are “subordinated” to the executive and legislative branches, denying meaningful judicial independence. The government controls all media outlets in Cuba and tightly restricts access to outside information, severely limiting the right to freedom of expression. Only a very small fraction of Cubans are able to read independent websites and blogs because of the high cost of, and limited access to, the Internet. While people in cities like Havana, Santiago de Cuba, or Santa Clara have access to the Internet, people in more rural areas are not able to go online. A May 2013 government decree directed at expanding Internet access stipulates that the Internet cannot be used for activities that undermine “public security, the integrity, the economy, independence, and national security” of Cuba—broadly worded conditions that could be used against government critics. A small number of independent journalists and bloggers manage to write articles for websites or blogs, or publish tweets. Yet those who publish information considered critical of the government are sometimes subject to smear campaigns, attacks, and arbitrary arrests, as are artists and academics who demand greater freedoms. In May 2014, blogger Yoani Sanchez launched the website 14ymedio, Cuba’s first independent online newspaper. Within hours, the site was hacked, and visitors were directed to a page dedicated to scathing criticisms of Sanchez. The site was restored the following day, but blocked again several days later, and has remained inaccessible to Internet users within Cuba ever since. In May 2013, the director of the government-run Casa de las Americas cultural institute, Roberto Zurbano, published an article in the New York Times highlighting persistent inequality and prejudice affecting Afro-Cubans. He was subsequently attacked in the government-controlled press and demoted to a lesser job at the institute. Reforms to travel regulations that went into effect in January 2013 eliminate the need for an exit visa to leave the island, which had previously been used to deny the right to travel to people critical of the government and their families. Since then, many people who had been previously denied permission to travel have been able to do so, including human rights defenders and independent bloggers. Nonetheless, the reform included very broad discretionary powers that allow the government to restrict the right to travel on the grounds of “defense and national security” or “other reasons of public interest,” allowing the authorities to deny exit to people who express dissent. 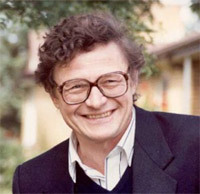 For example, authorities have repeatedly denied Manuel Cuesta Morúa the right to travel abroad since he attempted to organize a parallel summit to the CELAC conference in January 2014. The government also continues to arbitrarily deny Cubans living abroad the right to visit the island. In August 2013, the Cuban government denied Blanca Reyes, a Damas de Blanco member living in exile in Spain, permission to travel to Cuba to visit her ailing 93-year-old father, who died in October before she could visit him. The government restricts the movement of citizens within Cuba through a 1997 law known as Decree 217. Designed to limit migration to Havana, the decree requires that Cubans obtain government permission before moving to the country’s capital. It is often used to prevent dissidents from traveling there to attend meetings and to harass dissidents from other parts of Cuba who live in the capital. Prisons are overcrowded, and unhygienic and unhealthy conditions lead to extensive malnutrition and illness. Prisoners are forced to work 12-hour days and punished if they do not meet production quotas, according to former political prisoners. Inmates have no effective complaint mechanism to seek redress, and those who criticize the government, or engage in hunger strikes and other forms of protest, are subjected to extended solitary confinement, beatings, restrictions on family visits, and denial of medical care. The Cuban government still refuses to recognize human rights monitoring as a legitimate activity and denies legal status to local human rights groups. Meanwhile, government authorities harass, assault, and imprison human rights defenders who attempt to document abuses. President Obama announced in December 2014 that the US government would normalize diplomatic relations with Cuba and ease restrictions on travel and commerce with the island. In exchange, the Cuban government committed itself to—among other things— releasing 53 political prisoners and allowing visits to the island by the International Committee of the Red Cross and UN human rights monitors. 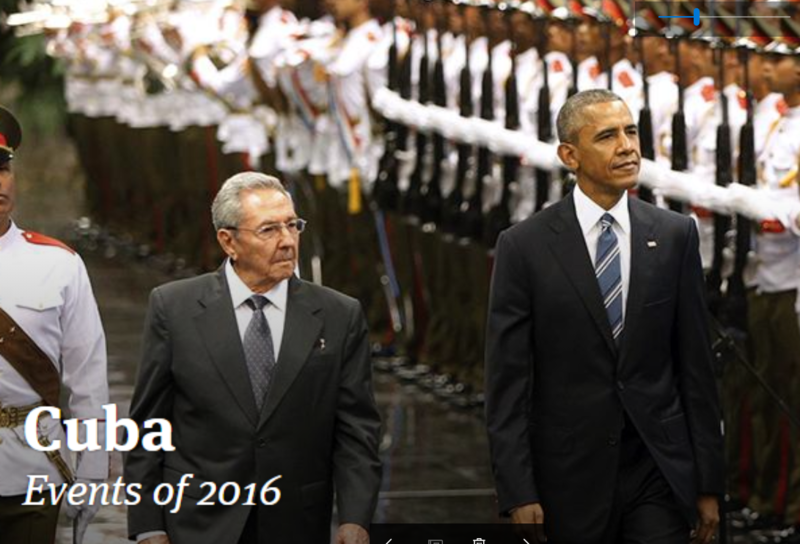 President Obama also called on the US Congress to lift the economic embargo on Cuba. For more than half a century, the embargo has imposed indiscriminate hardship on the Cuban people and has done nothing to improve the country’s human rights record. The UN General Assembly has repeatedly called for an end to the US embargo on Cuba. In October 2014, 188 of the 192 member countries voted for a resolution condemning the embargo. The European Union (EU) continues to retain its “Common Position” on Cuba, adopted in 1996, which conditions full EU economic cooperation with Cuba on the country’s transition to a pluralist democracy and respect for human rights. However, after a meeting in April 2014 in Havana, European Union and Cuban delegates agreed on establishing a road map for “normalizing” relations. EU officials indicated that concerns about civil liberties and democratic participation would continue to influence EU policy towards Cuba. At the Organization of American States General Assembly in June, governments throughout the region called for the attendance of Cuba at the next Summit of the Americas in Panama in 2015. In November 2013, Cuba was re-elected to a seat on the United Nations Human Rights Council (UNHRC), defeating Uruguay for a regional position despite its poor human rights record and its consistent efforts to undermine important council work. As a UNHRC member, Cuba regularly voted to prevent scrutiny of serious human rights situations around the world, opposing resolutions spotlighting abuses in North Korea, Syria, Iran, Sri Lanka, Belarus, and Ukraine. Cuba, however, supported the landmark resolution on sexual orientation and gender identity adopted by the council in September 2014. The text of the online 2015 World Report Cuba chapter has been updated from the print version to take into account events in late 2014. 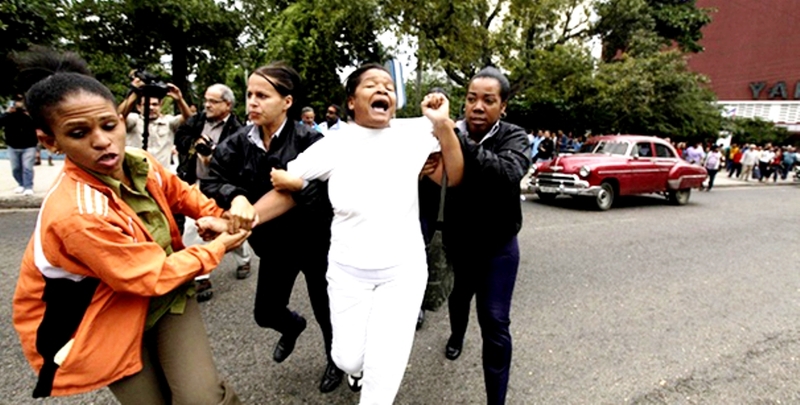 In 2010 and 2011, Cuba’s government released dozens of political prisoners on condition they accept exile in exchange for freedom. Since then, it has relied less on long-term prison sentences to punish dissent and has relaxed draconian travel restrictions that divided families and prevented its critics from leaving and returning to the island. Nevertheless, the Cuban government continues to repress individuals and groups who criticize the government or call for basic human rights. Officials employ a range of tactics to punish dissent and instill fear in the public, including beatings, public acts of shaming, termination of employment, and threats of long-term imprisonment. Short-term arbitrary arrests have increased dramatically in recent years and routinely prevent human rights defenders, independent journalists, and others from gathering or moving about freely. The government continues to rely on arbitrary detention to harass and intimidate individuals who exercise their fundamental rights. The Cuban Commission for Human Rights and National Reconciliation—an independent human rights group the government views as illegal—received over 3,600 reports of arbitrary detentions from January through September 2013, compared to approximately 2,100 in 2010. The detentions are often used preemptively to prevent individuals from participating in events viewed as critical of the government, such as peaceful marches or meetings to discuss politics. Many dissidents are beaten and threatened when detained, even if they do not try to resist. Security officers virtually never present arrest orders to justify detentions and threaten detainees with criminal sentences if they continue to participate in “counterrevolutionary” activities. In some cases, detainees receive official warnings, which prosecutors may later use in criminal trials to show a pattern of delinquent behavior. Dissidents said these warnings aim to discourage them from participating in activities seen as critical of the government. Victims of such arrests may be held incommunicado for several hours to several days. Some are held at police stations, while others are driven to remote areas far from their homes where they are interrogated, threatened, and abandoned. On August 25, 2013, more than 30 women from the Damas de Blanco (Ladies in White)—a group founded by the wives, mothers, and daughters of political prisoners and which the government considers illegal—were detained after attending Sunday mass at a church in Santiago, beaten, forced onto a bus, and left at various isolated locations on the city’s outskirts. The same day, eight members of the group in Havana and seven more in Holguín were arbitrarily detained as they marched peacefully to attend mass. Cubans who criticize the government may face criminal prosecution. They do not benefit from due process guarantees, such as the right to fair and public hearings by a competent and impartial tribunal. In practice, courts are “subordinated” to the executive and legislative branches, denying meaningful judicial independence. Political prisoners are routinely denied parole after completing the minimum required sentence as punishment for refusing to participate in ideological activities, such as “reeducation” classes. The death of political prisoner Orlando Zapata Tamayo in 2010 after his 85-day hunger strike and the subsequent hunger strike by dissident Guillermo Fariñas pressured the government to release the remaining political prisoners from the “group of 75” (75 dissidents sentenced to long prison terms in a 2003 crackdown). Yet most were forced to choose between ongoing prison sentences and forced exile. The overwhelming majority accepted relocation to Spain in exchange for their freedom. Dozens of political prisoners remain in Cuban prisons according to local human rights groups, which estimate that there are more political prisoners whose cases they cannot document because the government prevents independent national or international human rights groups from accessing its prisons. Luis Enrique Labrador Diaz was one of four people detained in January 2011 for distributing leaflets in Havana with slogans such as “Down with the Castros” and was subsequently convicted in May 2011 for contempt and public disorder in a closed, summary trial. He was still in prison at time of writing. The government controls all media outlets in Cuba and tightly restricts access to outside information, severely limiting the right to freedom of expression. Only a tiny fraction of Cubans are able to read independent websites and blogs because of the high cost of and limited access to the Internet. A May 2013 government decree directed at expanding Internet access stipulates that it cannot be used for activities that undermine “public security, the integrity, the economy, independence, and national security” of Cuba—broad conditions that could be used to impede access to government critics. After jazz musician Roberto Carcasses called for direct elections and freedom of information in a nationally televised concert in Havana in September 2013, officials told him that his words benefitted “the enemy” and that he would be barred from performing in state-run venues. The government lifted the ban—widely reported in the international press—a week later. In May, the director of the government-run Casa de las Americas cultural institute, Roberto Zurbano, published an article in the New York Times highlighting persistent inequality and prejudice affecting Afro-Cubans. He was subsequently attacked in the government-controlled press and demoted to a lesser job at the institute. The Cuban government refuses to recognize human rights monitoring as a legitimate activity and denies legal status to local human rights groups. Meanwhile, government authorities harass, assault, and imprison human rights defenders who attempt to document abuses. Reforms to travel regulations that went into effect in January 2013 eliminate the need for an exit visa to leave the island, which had previously been used to deny the right to travel to people critical of the government and their families. Nearly 183,000 people traveled abroad from January to September 2013, according to the government. 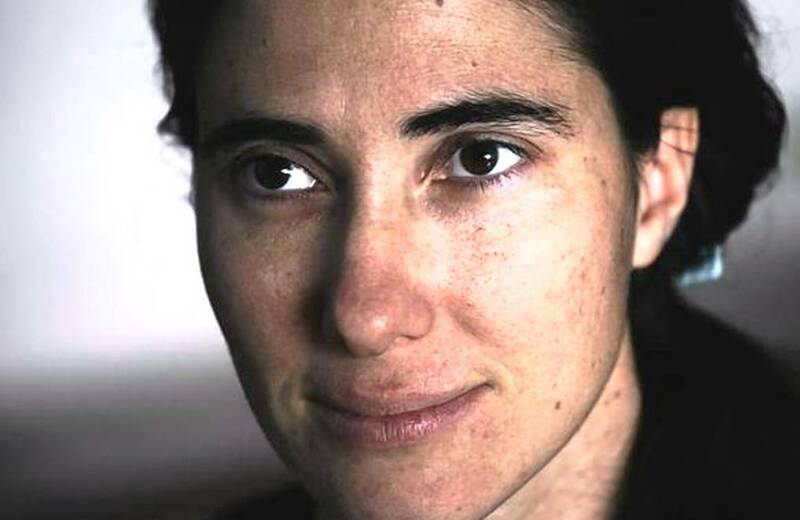 These included human rights defenders, journalists, and bloggers who previously had been denied permission to leave the island despite repeated requests, such as blogger Yoani Sanchez. Nonetheless, the reform establishes that the government may restrict the right to travel on the vague grounds of “defense and national security” or “other reasons of public interest,” which could allow the authorities to deny people who express dissent the ability to leave Cuba. The government also continues to arbitrarily deny Cubans living abroad the right to visit the island. In August, the Cuban government denied Blanca Reyes, a Damas de Blanco member living in exile in Spain, permission to travel to Cuba to visit her ailing 93-year-old father, who died in October before she could visit him. The government restricts the movement of citizens within Cuba through a 1997 law known as Decree 217. Designed to limit migration to Havana, the decree requires that Cubans obtain government permission before moving to the country’s capital. It is often used to prevent dissidents traveling there to attend meetings and to harass dissidents from other parts of Cuba who live in the capital. Prisons are overcrowded, unhygienic, and unhealthy, leading to extensive malnutrition and illness. More than 57,000 Cubans are in prisons or work camps, according to a May 2012 article in an official government newspaper. Prisoners who criticize the government or engage in hunger strikes and other forms of protest are subjected to extended solitary confinement, beatings, restrictions on family visits, and denial of medical care. Prisoners have no effective complaint mechanism to seek redress. While the government allowed select members of the foreign press to conduct controlled visits to a handful of prisons in April, it continued to deny international human rights groups and independent Cuban organizations access to its prisons. The United States’ economic embargo of Cuba, in place for more than half a century, continues to impose indiscriminate hardship on the Cuban people and has done nothing to improve the country’s human rights. At the United Nations General Assembly in October, 188 of the 192 member countries voted for a resolution condemning the US embargo. In 2009, President Barack Obama enacted reforms to eliminate restrictions on travel and remittances by Cuban Americans to Cuba put in place during the administration of President George W. Bush in 2004. In 2011, Obama used his executive powers to ease “people-to-people” travel restrictions, allowing religious, educational, and cultural groups from the US to travel to Cuba. The European Union continues to retain its “Common Position” on Cuba, adopted in 1996, which conditions full economic cooperation with Cuba on the country’s transition to a pluralist democracy and respect for human rights. Former US Agency for International Development contractor Alan Gross remained in prison despite a UN Working Group on Arbitrary Detention report in November 2012 that called for his immediate release. Gross was detained in Cuba in December 2009 and later sentenced to 15 years in prison for distributing telecommunications equipment to religious groups. The working group said Gross’s detention was arbitrary and that Cuba’s government had failed to provide sufficient evidence of the charges against him. In November, Cuba was re-elected to a seat on the UN Human Rights Council, defeating Uruguay for a regional position despite its poor human rights record and consistent efforts to undermine the council’s work to respond to human rights violators. Cuba remains the only country in Latin America that represses virtually all forms of political dissent. In 2012, the government of Raúl Castro continued to enforce political conformity using shoratct-term detentions, beatings, public acts of repudiation, travel restrictions, and forced exile. Although in 2010 and 2011 the Cuban government released dozens of political prisoners on the condition that they accept exile in exchange for their freedom, the government continues to sentence dissidents to one to four-year prison terms in closed, summary trials, and holds others for extended periods without charge. It has also relied increasingly upon arbitrary arrests and short-term detentions to restrict the basic rights of its critics, including the right to assemble and move freely. Cubans who dare to criticize the government are subject to criminal prosecution. They do not benefit from due process guarantees, such as the right to fair and public hearings by a competent and impartial tribunal. In practice, courts are “subordinated” to the executive and legislative branches, thus denying meaningful judicial independence. Political prisoners are routinely denied parole after completing the minimum required sentence as punishment for refusing to participate in ideological activities such as “reeducation” classes. The death of political prisoner Orlando Zapata Tamayo in 2010 after his 85-day hunger strike, and the subsequent hunger strike by dissident Guillermo Farinas, pressured the government to release the political prisoners from the “group of 75” (75 dissidents who were sentenced to long prison terms in a 2003 crackdown). Yet most were forced to choose between ongoing prison sentences and forced exile, and dozens of other dissidents have been forced abroad to avoid imprisonment. Dozens of political prisoners remain in Cuban prisons, according to human rights groups on the island. These groups estimate there are more political prisoners whose cases they cannot document because the government does not prisons. Rogelio Tavío López—a member the Unión Patriótica de Cuba dissident group— was detained in March 2012 in Guantanamo province after organizing a protest to demand the release of political prisoners. He has since been held in detention without being brought before a judge or granted access to a lawyer. In addition to criminal prosecutions, the Cuban government has increasingly relied on arbitrary detention to harass and intimidate individuals who exercise their fundamental rights. The Cuban Commission for Human Rights and National Reconciliation—an independent human rights group that the government views as illegal—received reports of 2,074 arbitrary detentions by state agents in 2010, 4,123 in 2011, and 5,105 from January to September 2012. The detentions are often used preemptively to prevent individuals from participating in events viewed as critical of the government, such as peaceful marches or meetings to discuss politics. Many dissidents are subjected to beatings and threats as they are detained, even though they do not try to resist. Security officers virtually never present arrest orders to justify the detentions and threaten detainees with criminal sentences if they continue to participate in “counterrevolutionary” activities. Victims of such arrests are held incommunicado for several hours to several days, often at police stations. In some cases, they are given an official warning, which prosecutors may later use in criminal trials to show a pattern of delinquent behavior. Dissidents said these warnings are aimed at discouraging them from participating in future activities seen as critical of the government. In July, at least 40 people were arbitrarily detained in Havana at the funeral of dissident Oswaldo Payá, who died in a car accident. Police officers broke up the non-violent procession and beat participants. The detainees were taken to a prison encampment where they were held incommunicado for 30 hours before being released without charge. The government controls all media outlets in Cuba and tightly restricts access to outside information, which severely limits the right to freedom of expression. Only a tiny fraction of Cubans have the chance to read independently published articles and blogs because of the high cost of and limited access to the internet. A small number of independent journalists and bloggers manage to write articles for foreign websites or independent blogs, yet those who use these outlets to criticize the government are subjected to public smear campaigns, arbitrary arrests, and abuse by security agents. The authorities often confiscate their cameras, recorders, and other equipment. According to the independent journalists’ group Hablemos Press, authorities arbitrarily detained 19 journalists in September 2012, including Calixto Ramón Martínez Arias, who remained in prison without charge at this writing. The Cuban government uses selective allocations of press credentials and visas, which are required by foreign journalists to report from the island, to control coverage of the island and punish media outlets seen as overly critical of the regime. For example, in anticipation of the March 2012 visit of Pope Benedict XVI to Cuba, the government denied visas to journalists from El Pais and El Nuevo Herald, newspapers whose reporting it has criticized as biased. The Cuban government refuses to recognize human rights monitoring as a legitimate activity and denies legal status to local human rights groups. Meanwhile, government authorities harass, assault, and imprison human rights defenders who attempt to document abuses. In the weeks leading up to and during Pope Benedict XVI’s visit to Cuba, authorities detained, beat, and threatened scores of human rights defenders. The Cuban government forbids the country’s citizens from leaving or returning to Cuba without first obtaining official permission, which is often denied to those who criticize the government. For example, acclaimed blogger Yoani Sánchez, who has been critical of the government, has been denied the right to leave the island at least 19 times since 2008, including in February 2012 after the Brazilian government granted her a visa to attend a documentary screening. Yoani Sanchez did receive a passport on January 30, 2013, following the reform of Cuba’s Migratory Laws. Presumably she will be allowed to return as well as to leave. The Cuban government uses forced family separation to punish defectors and silence critics. It frequently bars citizens engaged in authorized travel from taking their children with them overseas, essentially holding children hostage to guarantee their parents’ return. The government restricts the movement of citizens within Cuba by enforcing a 1997 law known as Decree 217. Designed to limit migration to Havana, the decree requires Cubans to obtain government permission before moving to the country’s capital. It is often used to prevent dissidents traveling to Havana to attend meetings and to harass dissidents from other parts of Cuba who live in the capital. Prisons are overcrowded, unhygienic, and unhealthy, leading to extensive malnutrition and illness. More than 57,000 Cubans are in prisons or work camps, according to a May 2012 article in an official government newspaper. Prisoners who criticize the government, or engage in hunger strikes and other forms of protest are often subjected to extended solitary confinement, beatings, restrictions on family visits, and denial of medical care. Prisoners have no effective complaint mechanism to seek redress, giving prison authorities total impunity. In January 2012, Wilman Villar Mendoza, 31, died after a 50-day hunger strike in prison, which he initiated to protest his unjust trial and inhumane prison conditions. He had been detained in November 2011 after participating in a peaceful demonstration, and was sentenced to four years in prison for “contempt” in a summary trial in which he had no lawyer. After beginning his hunger strike, he was stripped naked and placed in solitary confinement in a cold cell. He was transferred to a hospital only days before he died. The United States’ economic embargo on Cuba, in place for more than half a century, continues to impose indiscriminate hardship on the Cuban people, and has done nothing to improve human rights in Cuba. At the United Nations General Assembly in November, 188 of the 192 member countries voted for a resolution condemning the US embargo. In 2009, President Barack Obama enacted reforms to eliminate limits on travel and remittances by Cuban Americans to Cuba, which had been put in place during the administration of President George W. Bush. In 2011, Obama used his executive powers to ease “people-to-people” travel restrictions, allowing religious, educational, and cultural groups from the US to travel to Cuba. However, in May 2012 the Obama administration established additional requirements to obtain “people to people” licenses, which has reduced the frequency of such trips. In June, the UN Committee Against Torture (CAT) issued a report on Cuba in which it expressed concern about reports of inhumane prison conditions and the use of ambiguous preventive detention measures such as “social dangerousness,” among other issues for which it said the Cuban government failed to provide key information. 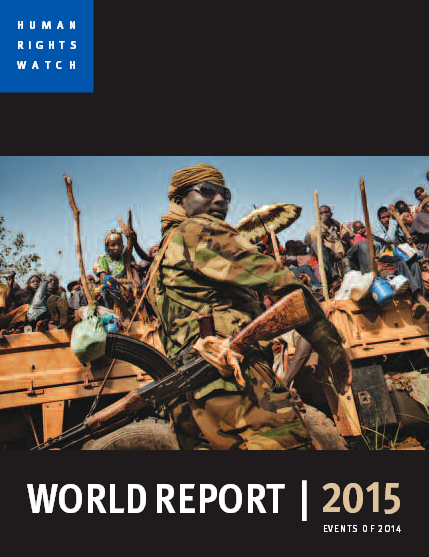 Human Rights Watch published its WORLD REPORT 2012 on January 22, 2012.The full report can be seen here: Human Rights Watch, WORLD REPORT 2012. The Chapter on Cuba is presented below. Cuba remains the only country in Latin America that represses virtually all forms of political dissent. In 2011 Raúl Castro’s government continued to enforce political conformity using short-term detentions, beatings, public acts of repudiation, forced exile, and travel restrictions. In 2011 the Cuban government freed the remaining 12 political prisoners from the “group of 75” dissidents—human rights defenders, journalists, and labor leaders who were sentenced in 2003 in summary trials for exercising their basic rights—having forced most into exile in exchange for their freedom. Also in 2011 the government sentenced at least seven more dissidents to prison for exercising their fundamental rights, and human rights groups on the island said dozens more remain in prison. The government increasingly relied on arbitrary arrests and short-term detentions to restrict the basic rights of its critics, including the right to assemble and move about freely. Cuba’s government also pressured dissidents to choose between exile and continued repression or even imprisonment, leading scores to leave the country with their families during 2011. Cubans who criticize the government are subject to criminal charges. They are exempt from due process guarantees, such as the right to a defense or fair and public hearings by a competent, independent, and impartial tribunal. In practice, courts are “subordinated” to the executive and legislative branches, denying meaningful judicial protection. Dozens of political prisoners remain in Cuban prisons, according to respected human rights groups on the island. In June 2011 the Cuban Council of Human Rights Rapporteurs issued a list of 43 prisoners whom it said were still incarcerated for political reasons. In May 2011, four dissidents from Havana—Luis Enrique Labrador, David Piloto, Walfrido Rodríguez, and Yordani Martínez—were prosecuted on charges of contempt and public disorder for demonstrating in Havana’s Revolutionary Square and throwing leaflets with slogans such as“Down with the Castros.” They were sentenced to three to five years in prison. The council estimates that there are many more political prisoners whose cases they cannot document because the government does not let independent national or international human rights groups access its prisons. In addition to criminal prosecution, Raul Castro’s government has increasingly relied on arbitrary detention to harass and intimidate individuals who exercise their fundamental rights. The Cuban Commission for Human Rights and National Reconciliation documented 2,074 arbitrary detentions by security forces in 2010, and 2,224 between January and August 2011. The detentions are often used preemptively to prevent individuals from participating in meetings or events viewed as critical of the government. Security officers hardly ever present arrest orders to justify detentions, and threaten detainees with criminal prosecution if they continue to participate in “counterrevolutionary” activities. Victims of such arbitrary arrests said they were held incommunicado for several hours to several days, often at police stations. Some received an official warning (acta de advertencia), which prosecutors may later use in criminal trials to show a pattern of delinquent behavior. Dissidents said these warnings aimed to dissuade them from participating in future activities considered critical of the government. For example, on July 24, 2011, state security agents arbitrarily detained 28 human rights activists for 4 to 30 hours in Palma Soriano, Santiago de Cuba province, when they tried to participate in a religious service to pray for the release of political prisoners. The death of political prisoner Orlando Zapata Tamayo in February 2010 following his 85-day hunger strike, and the subsequent hunger strike by dissident Guillermo Farinas, pressured the Cuban government to release the remaining political prisoners from the “group of 75,” who were detained during a 2003 crackdown on dissent. Yet while the final 12 prisoners from the group were released in March 2011, most were forced to choose between ongoing prison and forced exile. Since that time dozens of other prominent dissidents, journalists, and human rights defenders have been forced to choose between exile and ongoing harassment or even imprisonment. For example, Néstor Rodríguez Lobaina, an outspoken human rights activist, former political prisoner, and president of a dissident youth group in Guantánamo, was arrested in December 2010. Held for months while awaiting trial, he said authorities told him that unless he agreed to go into exile, he would be sentenced to five years of prison. He accepted forced exile to Spain in April 2011. The government maintains a media monopoly on the island, ensuring there is virtually no freedom of expression. The government controls all media outlets in Cuba, and access to outside information is highly restricted. Limited internet access means only a tiny fraction of Cubans can read independently published articles and blogs. Although a few independent journalists and bloggers manage to write articles for foreign websites or independent blogs, they must publish work through back channels, such as writing from home computers, saving information on memory sticks, and uploading articles and posts through illegal internet connections; others dictate articles to contacts abroad. Independent journalists and bloggers are subjected to short-term arrests and harassment by police and state security agents, as well as threats of imprisonment if they continue to work. For example, independent journalists Magaly Norvis Otero Suárez and Roberto de Jesús Guerra Pérez were detained and beaten in Havana on February 23, 2011, as they walked to an event with two members of the Women in White—a respected human rights group comprised of wives, mothers, and daughters of political prisoners—to honor the one year anniversary of Orlando Zapata Tamayo’s death. They later said they were transported to a police station, where they were assaulted and held incommunicado for roughly 14 hours. The Cuban government uses the granting of press credentials and visas, which foreign journalists need to report from the island, to control coverage of Cuba and punish media outlets considered overly critical of the regime. In September, for example, the government refused to renew the press credentials of a journalist from Spain’s El Pais newspaper, arguing he presented a biased and negative image of Cuba. Refusing to recognize human rights monitoring as a legitimate activity, Cuba’s government denies legal status to local human rights groups and uses harassment, beatings, and imprisonment to punish human rights defenders who try to document abuses. For example, Enyor Díaz Allen, Juan Luis Bravo Rodríguez, and Óscar Savón Pantoja—members of a human rights group in Guantanamó — were trying to enter a hospital on March 10 to visit a dissident on a hunger strike when security forces detained and transferred them without explanation to a police station and held them for three days in solitary confinement, Díaz Allen said. The Cuban government forbids the country’s citizens from leaving or returning to Cuba without first obtaining official permission, which is often denied. For example, well-known blogger Yoani Sanchez, who has criticized the government, has been denied the right to leave the island to accept awards and participate in conferences at least 16 times in the past four years. The government uses widespread fear of forced family separation to punish defectors and silence critics, and frequently bars citizens engaged in authorized travel from taking their children with them overseas, essentially holding the latter hostage to guarantee their parents’ return. The government restricts the movement of citizens within Cuba by enforcing a 1997 law known as Decree 217. Designed to limit migration to Havana, the decree requires that Cubans obtain government permission before moving to the capital. It is often used to prevent dissidents from traveling to Havana to attend meetings, and to harass dissidents from other parts of Cuba who live in the capital. Prisons are overcrowded, unhygienic, and unhealthy, leading to extensive malnutrition and illness. Prisoners who criticize the government, refuse to undergo ideological “reeducation,” or engage in hunger strikes and other protests are often subjected to extended solitary confinement, beatings, and visit restrictions, and denied medical care. Prisoners have no effective complaint mechanism to seek redress, giving prison authorities total impunity. The United States’s economic embargo on Cuba, in place for more than half a century, continues to impose indiscriminate hardship on Cubans, and has failed to improve human rights in the country. At the United Nations General Assembly in October, 186 of the 192 member countries voted for a resolution condemning the US embargo; only the US and Israel voted against it. In January 2011 US President Barack Obama used his executive powers to ease “people-to-people” travel restrictions, allowing religious, educational, and cultural groups from the US to travel to Cuba, and permitting Americans to send remittances to assist Cuban citizens. In 2009 Obama eliminated limits on travel and remittances by Cuban Americans to Cuba, which had been instituted during George W. Bush’s administration. In March US citizen Alan Gross—a subcontractor for the US Agency for International Development—was sentenced to 15 years in jail for distributing telecommunications equipment for religious groups in Cuba. Gross was detained in December 2009 and accused by state prosecutors of engaging in a“subversive project aiming at bringing down the revolution.” Cuba’s highest court upheld his sentence in August. He remains in prison.